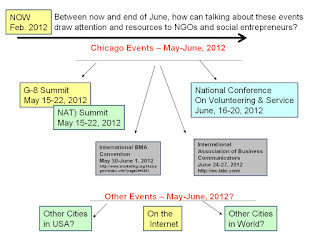 Tutor Mentor Institute, LLC: G-8, NATO Events In Chicago. How to Compete for Attention? G-8, NATO Events In Chicago. How to Compete for Attention? 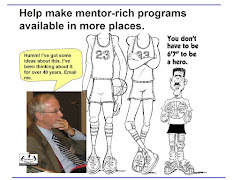 based tutor/mentor programs so more people would seek them out to be volunteers, donors, etc. Doing this without any advertising or PR dollars has been quite a challenge. This is even more difficult when major events like the G-8 and NATO meetings being held in Chicago this May will be grabbing most media attention. 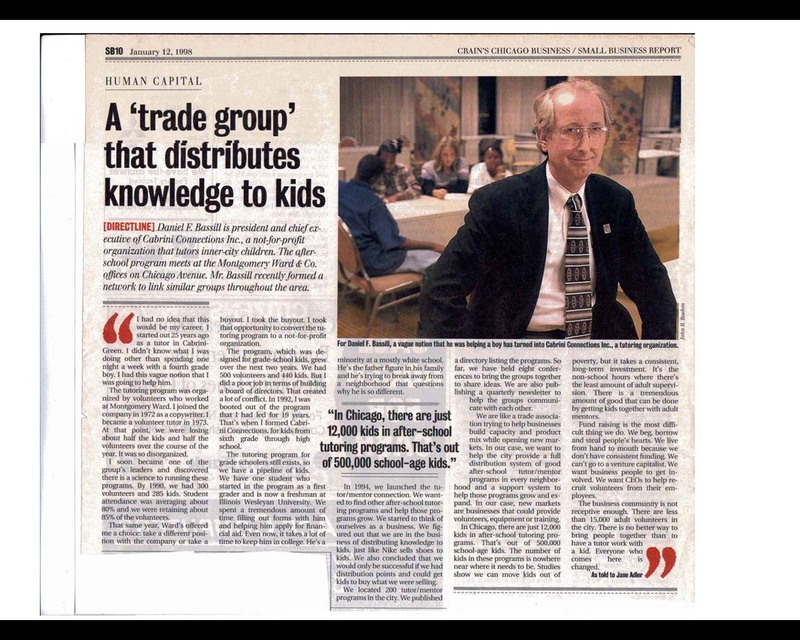 Since we know these events will be coming, I wonder what we might do in social media from now till the end of June to leverage these events to help keep some attention focused on tutor/mentor programs and other efforts intended to help youth living in poverty, not just in Chicago, but in other cities, too. 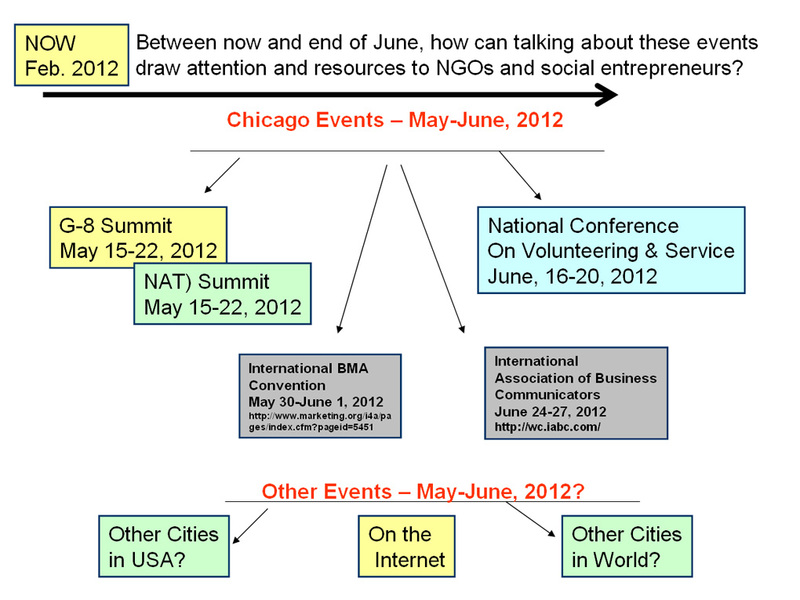 One thing that we might do is share this graphic on Facebook and other places so we can build a more comprehensive list of major conferences taking place around the world during this period, which might offer some talking points related to volunteering, philanthropy, strategic thinking and/or collective action. 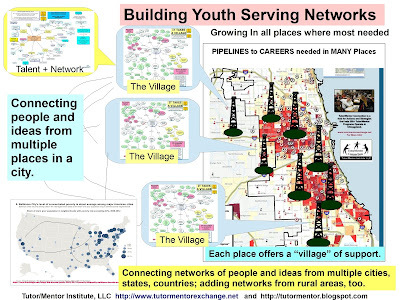 One talking point between now and June would be a focus on building a better understanding of what types of services are currently available to youth in high poverty areas, and where there are too few services. 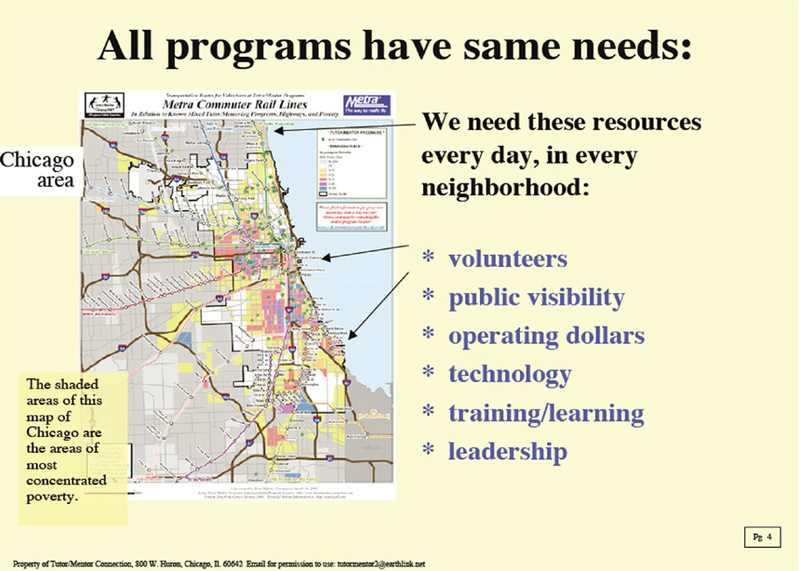 This graphic illustrates a goal of mine that youth from high schools, colleges and volunteers from companies and faith groups step forward to help collect and map information about volunteer-based tutor/mentor programs in Chicago. Teams in other cities could be doing the same for their own community. If we plot that information on maps anyone can look at this information, even the leaders (and demonstrators) coming to Chicago this summer. 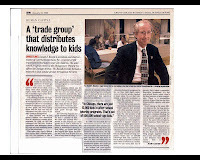 Our goal is that the messages we post on Facebook, Twitter, Linked in and our blogs can encourage groups of people in every sector to begin discussing the role volunteer-based tutor/mentor programs play in expanding the number of people and resources involved in helping kids through school and into jobs and careers. As that happens, more will seek out individual programs, using our on-line directory, and offer help as volunteers, donors, leaders, etc. While the G-8 and NATO meetings are in May, the National Conference on Volunteering and Service is in June and there are other conference in Chicago and around the world during the same period that must offer opportunities for us to talk about the needs of poor people and how these interact with the needs of wealth people and businesses and affect world peace and the world economy. I'm going to make an effort to write about this frequently from now till July (and then I'll continue for the next six months beyond that). I hope you'll join me.